I've been reading up about the benefits of keeping such animals with horses- they don't get as buddy sour, they are good at preventing pastures from getting horse sick, and even eating potentially poisonous plants for horses... but can you keep them to become part of the horses 'herd' and has anyone heard of a horse being kept with souly non equine companions?? also, if you think this is a bad idea (not that I'm really planning to do this, just wondering) can you keep minis with full horses, and if so are there any specific precautions for keeping shetties? ----ive heard farriers and grazing is an issue (but how do you put a horse on restricted grazing with out doing the same to other horses or separating them)?? they fly without wings and conquer without swords. Last edited by UnhappyHacker; 04-03-2019 at 02:22 PM. Goats are AMAZING companions for horses I had a friend ho ad two horses one of them died and the other one got super sad. 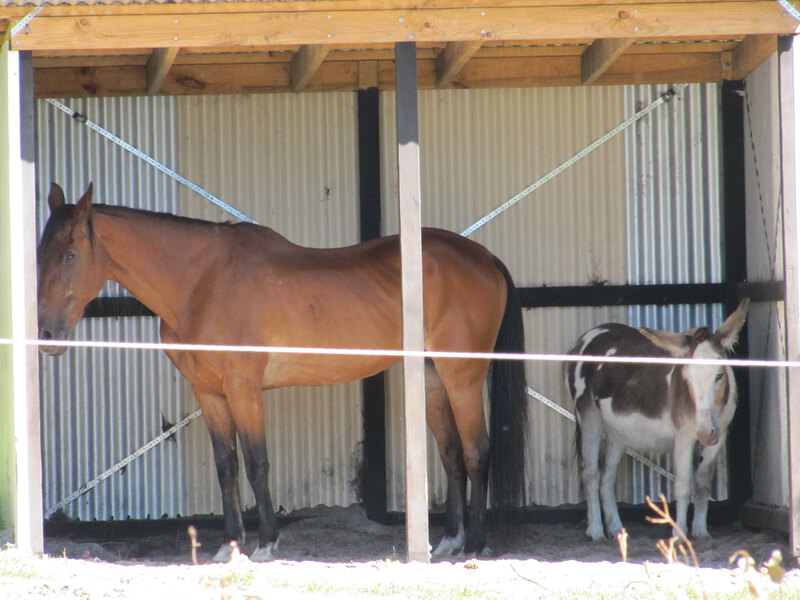 My friend bought a goat to put with the horse and they became best friend! Highly recommend goats! Just need to remember that every species has its own requirements for care, feeding, shelter, fencing etc. Adds a layer of complexity. 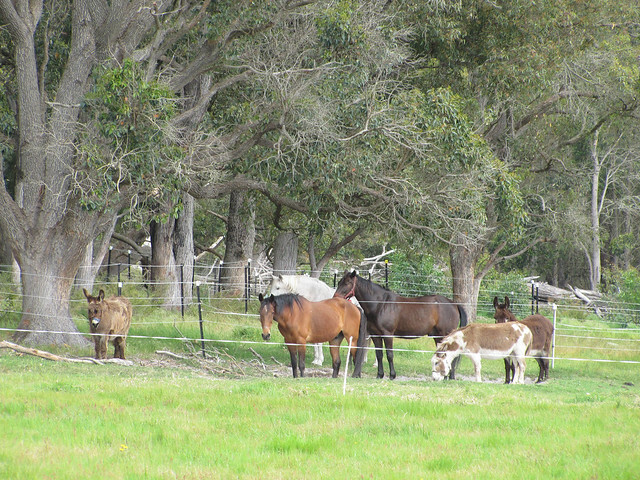 Ponies and donkeys rarely can be grazed freely in wet summer climates. Goats need much better fencing than horses, and cannot tolerate getting wet and cold. Things like that. I'm looking to add a pair of goats to my menagerie in the next few weeks. My pony will be on stall rest for months and will need buddies. Last edited by UnhappyHacker; 04-03-2019 at 03:27 PM. oh wow, you have to post an update, and photos! I'm glad you started this thread. My horse is at my trainer's barn right now with lots of other horses and I am worried about her coming home in a few month and being alone. At the barn she seems to adore a very sassy miniature horse. I really don't want another horse but don't want my horse to feel lonely. I saw on another message board someone warning about goats because a goat chewed off their horses long tail. And I saw an ad on Craigslist a few months ago for a qh mare someone wanted to get rid of because she was buddy sour with a goat! They said this mare refused to do anything without the goat and they were tired of it and just wanted somebody to come take her away. 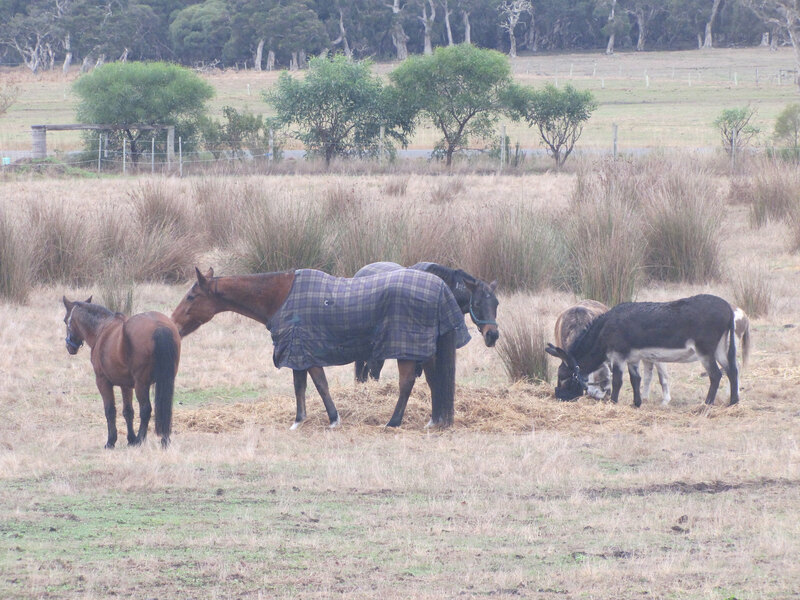 Our horses co-graze with donkeys and beef cattle. 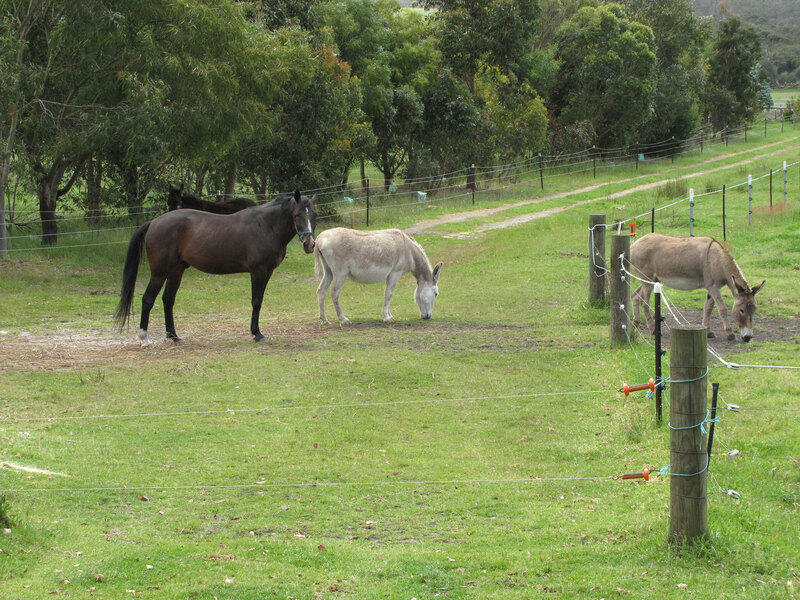 Donkeys can make excellent companions for horses. But of course, donkeys are also equines! 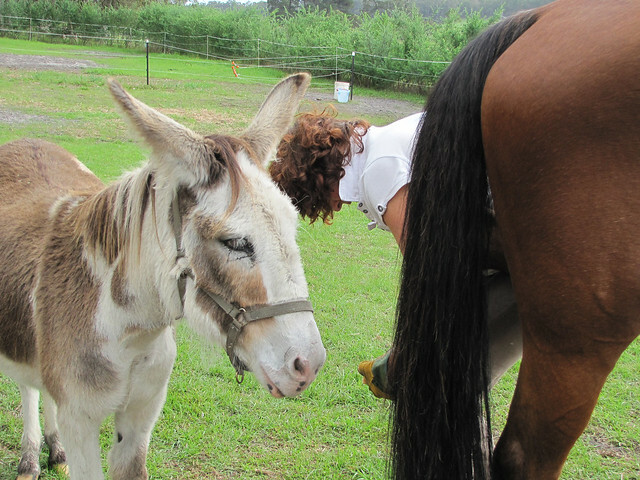 @SueC What is your experience keeping a donkey? Are they easier than a horse? 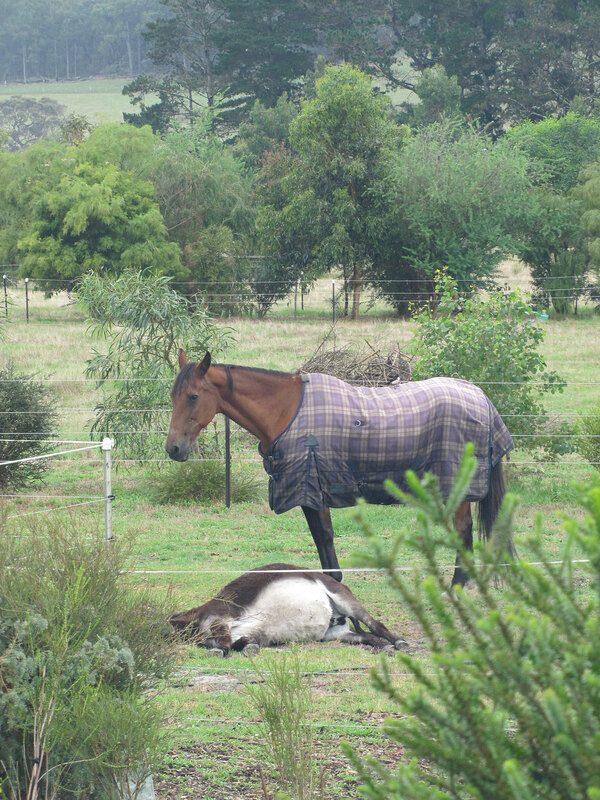 My main concern is that if I get a companion for my mare I would love for animal to be less work. If it is just as much work and cost as a horse I might as well get another horse! And love the photos, your donkeys are really cute!